Who is the Singer Stylist 9960 Sewing Machine For? Who is this Sewing Machine Not For? Decision Time: Is this Sewing Machine Calling Your Name? The Singer Quantum Stylist 9960 Full Disclosure: We earn a commission if you click this link and make a purchase, at no additional cost to you. 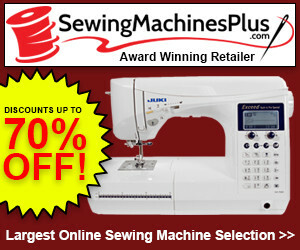 is one of the most powerful sewing machines on the market, especially when you look at the price. When we got to try out this machine, we loved it. There is not much else which we can say to introduce this machine, so let’s jump straight in. Let’s start at the top. The Singer Quantum Stylist 9960 has 600 stitch options. Yes, you heard that right. No matter what your project is, there is a stitch here which can help you to complete it. Once you are sewing, you can sew at up to 850 stitches per minute. This will help to guide you through even the most complex projects with incredible speed. A thread cutter is always a must for us and this machine has one. 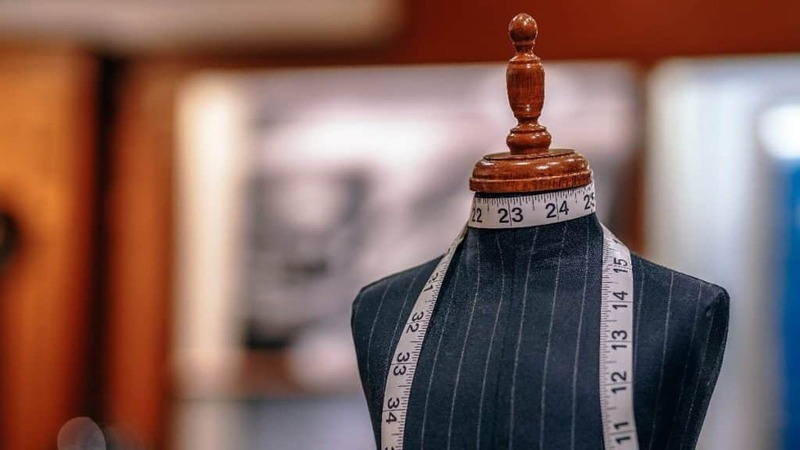 Making the time to manually cut your thread is not that big of a deal, but the ability to cut the thread as you are working keeps you in the flow of a project and helps to keep you focused. Not only can you cut your thread as you go, but you can keep it tight too. You also have the advantage of being able to use tension control as you are working. An automatic bobbin winder will save you a lot of time when you are working on a project. It will quickly wind your thread without you having to do so manually. If you like to attach buttons to clothes, you have 13 different buttonhole styles. Each of the stitch options attaches your buttons with a one-step operation. We also like that you have the option to attach two needles at the same time for some twin-needle sewing. Creating uniform hemlines has never been easier. Free-arm sewing can be completed by removing a part of the table on the sewing machine. If you are working large pieces of fabric or areas which are hard to reach, this feature will help you to complete your work. The feed dogs are also adjustable. Simply lift them, adjust the position, and drop then again. This allows you to stitch large pieces of fabric without having to manipulate the fabric. Change your sewing direction with ease. With so many stitch options, you would expect to become lost in searching for the stitch you need. This is not the case with the Singer Quantum Stylist 9960. With an LCD screen and few buttons to help navigate, you are able to move through the stitch options with incredible ease. The menu systems are intuitive to use, and you can find the stitch you need in seconds. This machine is heavier than others on the market making it less portable, but we see this as a benefit. This is the type of machine which you will use for complex projects or as part of a business. This is not the type of machine which you are going to want to take places with you. When you are using it, the extra weight is going to make it sturdier. When you are working on heavy fabrics at high speed, the machine is going to remain steady and so is your stitching. We like the LCD screen on this sewing machine. Not only does it allow you to select the stitch you want with ease but it also allows you to check for any errors. The screen will show you any errors or when the machine is being used incorrectly. It will also allow you to check and change the thickness and width of your stitches. The LCD screen gives you a lot of control over your projects. When it comes to controlling the speed of your machine and starting/stopping, you have options. A foot pedal makes it easy to change the speed while freeing up both of your hands to evenly feed the fabric. You also have a start/stop button on the machine which you can use in conjunction with the sped control knob. This gives you complete control over the speed when compared to the foot pedal. Two features give you more visibility in your sewing projects. The drop-in bobbin is easy to load, and you can see the thread the entire time. If the thread is low or becomes tangled, you can address this before it becomes a problem. You also have a sewing light built into the machine, allowing you to continue your projects even when the light gets low. The Singer Quantum Stylist 9960 Full Disclosure: We earn a commission if you click this link and make a purchase, at no additional cost to you. is definitely a sewing machine which is accessible to everyone. Beginners will find the basic stitch options which they need and will be able to find and use them easily. The controls are intuitive, and the machine is easy to operate. At the same time, this is a great machine for sewing experts. The machine is easy to use, but it is also powerful. With so many stitches at your disposal, you are going to be able to complete your most ambitious projects. There really is no one we would not recommend this machine to. We love what you get with this machine and find that it is accessible to almost anyone. Even those who have not used a sewing machine before will find it easy to use. It is hard to recommend an alternative to a sewing machine when the sewing machine is one of the best we have used. If you are looking for a better machine for the price, then there really is nothing we can recommend. If you are looking for something simpler or for a novice, we would recommend the Singer Stylist 7258 Full Disclosure: We earn a commission if you click this link and make a purchase, at no additional cost to you. sewing machine. The Singer Quantum Stylist 9960 sewing machine comes with everything you need to get started. With so many stitch options and features, it is great news that everything you need to complete all of your projects comes included with your purchase. We really cannot recommend any accessories which you will need to buy before you begin. The only thing you may want to invest in is spare needles. The machine comes with spare needles, but you are going to be completing so many projects, that they are going to wear out at some point. It is never a bad idea to always have spares. Simply put, the Singer Quantum Stylist 9960 Full Disclosure: We earn a commission if you click this link and make a purchase, at no additional cost to you. is one of the best sewing machines on the market. You only need to see how many stitches are at your disposal to see how valuable this machine can be to you. When you combine that with the speed of the machine, you can see how quickly you are going to get through all of your projects, even the most difficult ones. We love how easy this machine is to use. Beginners will find it accessible and professionals will find that there is enough there to keep them occupied. Handy features like the adjustable feed dogs and removable table make this machine great for almost any task. We cannot recommend this machine enough. If you invest in this sewing machine, it may be the last sewing machine that you ever buy. 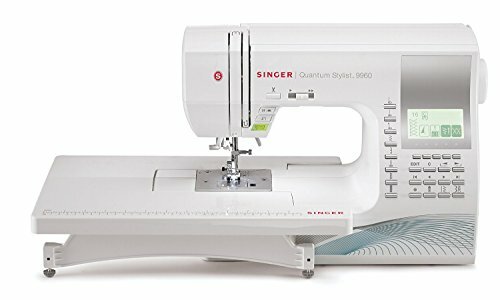 The Singer Quantum Stylist 9960 sewing machine came in at #4 in our Best 12 Sewing Machines List. Here’s the full list, including the other 11 sewing machines. The following links will take you to the review of each machine. Singer Quantum Stylist 9960 Full Disclosure: We earn a commission if you click this link and make a purchase, at no additional cost to you.